RCA Silicone Clip Cord, 8 Feet Length, 5 Colors for Choice. 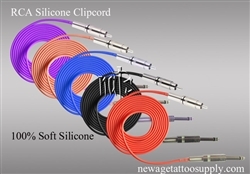 We produced our premium quality Silicone Clip Cord in our facility. All components are of the highest quality, thick 22 AWG Silicone Copper wire. 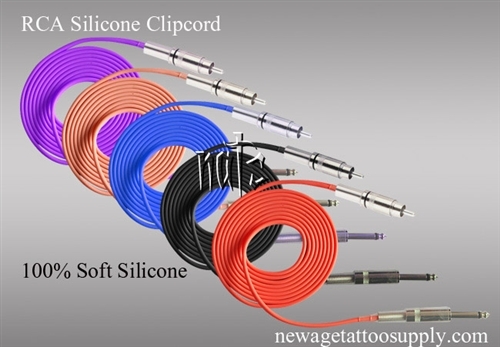 Our RCA Plugs are customized very tight, to make sure the clip cord will not fall off during tattooing. Beware of fake silicone clip cord on the market.